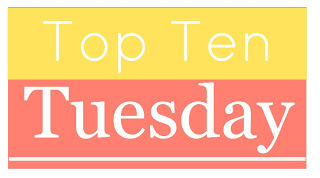 It's been some time since I've participated in Top Ten Tuesday, my favorite weekly meme, but I couldn't resist this week's topic. 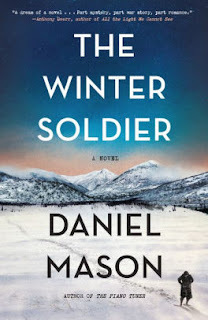 The seasonal TBR posts are the ones I look forward to most, so I couldn't miss out. You shouldn't either. Join in the fun by heading over to That Artsy Reader Girl to read a few guidelines then making and sharing a list of your own. After that, all you have to do is hop around the book blogosphere and load up your TBR list with even more great recommendations. It's a good time, I promise! 1. 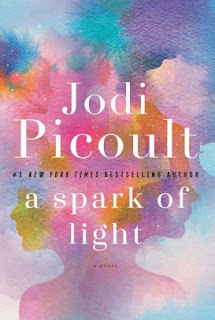 A Spark of Light by Jodi Picoult (available October 2)—I'm a big Picoult fan and I'm excited to read her newest, even though it deals with a subject on which I have strong opinions: abortion. The novel begins when a shooter walks through the doors of a women's reproductive health services clinic and goes from there. Should be a compelling read that will no doubt be interesting and discussion-worthy. 2. 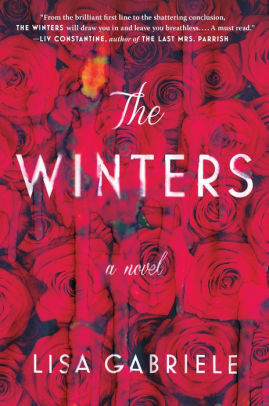 The Winters by Lisa Gabriele (available October 16)—This haunting thriller about a recently married woman whose posh new lifestyle is not all it appears to be sounds intriguing. 3. Leave No Trace by Mindy Mejia (available now)—This novel, about a boy who's been raised in the Minnesota wilderness and the therapist who's trying to help him, sounds intriguing. 4. 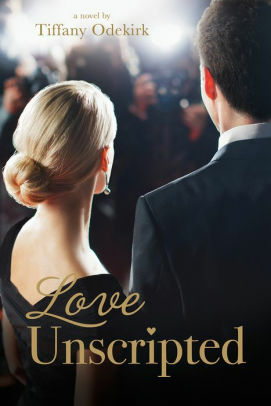 Love Unscripted by Tiffany Odekirk (available now)—On the lighter side, this is the sophomore novel by a delightful author whom I've had the privilege to meet. I enjoyed her debut, so I'm excited to see what Odekirk does with this romance about a woman who meets a Hollywood heartthrob in need of her help. 6. 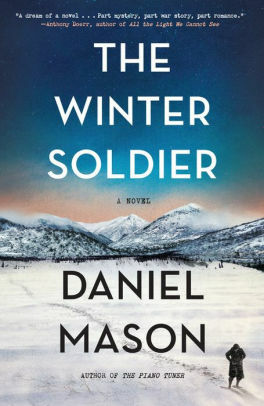 The Winter Soldier by Daniel Mason (available now)—This historical novel, about a young medical student who enlists in WWI and finds himself trying to make a difference at a frozen, forgotten makeshift hospital in the Carpathian Mountains, sounds intriguing. 7. 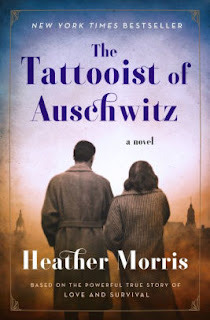 The Tattooist of Auschwitz by Heather Morris (available now)—Another historical, this one is based on the true story of a captured Jew who is put to work tattooing numbers on the arms of his fellow prisoners. A love story and a survival story, it sounds excellent. 8. 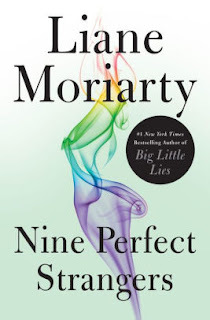 Nine Perfect Strangers by Liane Moriarty (available November 6)—After loving several of Moriarty's novels, I found her last one to be a big flop. I'm hoping Nine Perfect Strangers, a novel about a group of women stuck together at a resort that may be more damaging than healing, is as entertaining as some of her earlier books. 9. 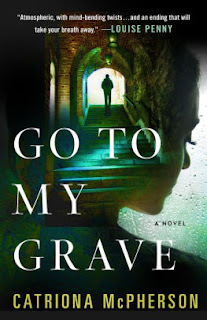 Go To My Grave by Catriona McPherson (available October 23)—I love a mystery/thriller featuring an old house hiding juicy secrets. This one, about a group that gathers at a bed and breakfast where something horrible happened years before, sounds like a perfect Fall read! 10. 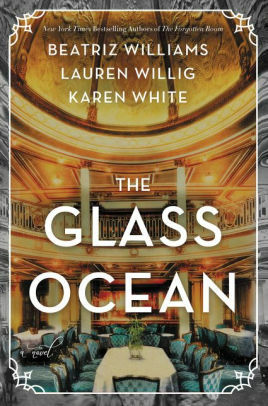 The Glass Ocean by Beatriz Williams, Lauren Willig, and Karen White (available now)—This dual-timeline novel features a dramatic story set on the doomed ocean liner RMS Lusitania. I'm in. There you have it, ten of my most anticipated reads for Fall. Do we have any in common? 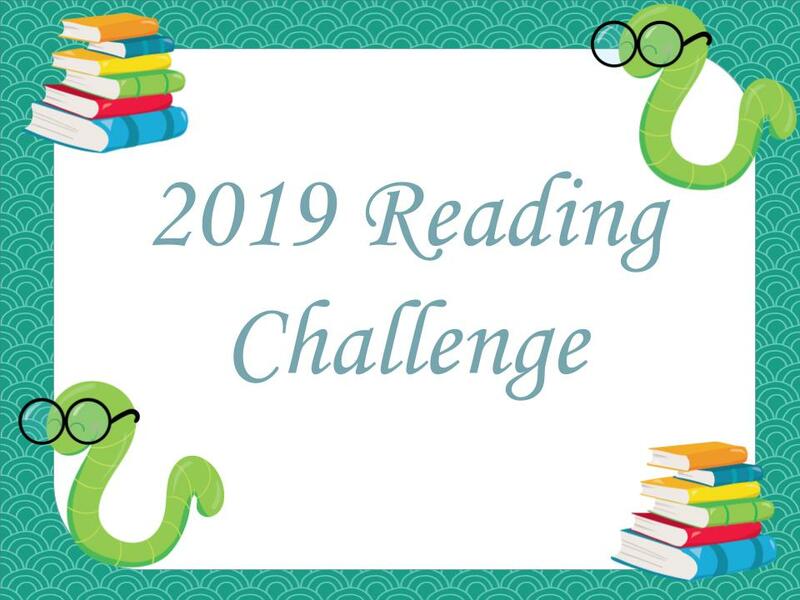 What are you looking forward to reading in the months ahead? I'd love to know. Please leave a comment on this post and I will gladly return the favor. LEAVE NO TRACE sounds really good. I'm on my library's wait list for it. Hopefully, the line moves fast! 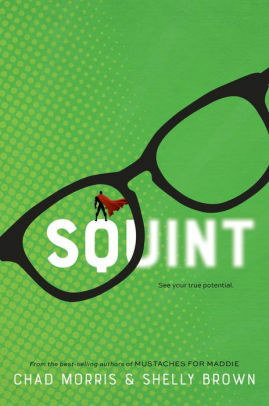 I'm excited for SQUINT. It sounds cute, but also meaningful. I simply must get a copy of The Tattooist of Auschwitz. I've always loved WWII era books. What a great list of books! I just saw the Auschwitz book the other day and thought it looked good and Picoult is always well done. I've been eyeing THE TATTOOIST for awhile now. I think it's going to be excellent. And I agree -- I always enjoy Picoult. She's really good at making me see all sides of a hot issue. 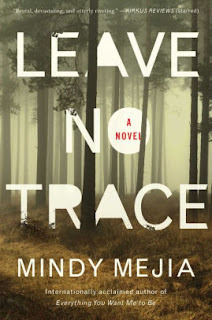 LEAVE NO TRACE sounds good! The Jodi Picoult book is on my radar but waiting for reviews. I didn't love Liane Moriartys last book either but have hopes this one is better. Hope you get to and enjoy all of these! Doesn't it? I can't wait to read it. I haven't seen any reviews on A SPARK OF LIGHT, but it will be interesting to see what people have to say about it. Wasn't Moriarty's last book such a disappointment? I really hope she redeems herself with this one! I am obsessed with Liane Moriarty's books. They are all so good. I have total grabby hands for that one. LOL. We're not the only ones with "grabby hands" for it -- I've seen it on plenty of lists this week! I have at least 5 of these on my list. Am anxiously waiting for Liane Moriarty's book. While I think I liked her previous one more than you, it wasn't her best IMHO. And I think GO TO MY GRAVE sounds just about perfect for this time of year. So anxious to read it. Great list, Susan! Moriarty's last was definitely an anomaly. I usually really like her books. NINE PERFECT STRANGERS sounds likes it's going to be a lot better. Keeping my fingers crossed! Great list! I'm intrigued by The Tattooist of Auschwitz. I've been to Auschwitz and it was a very emotional experience. 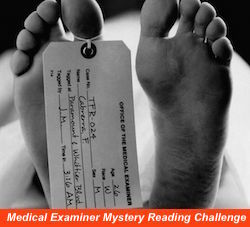 I'll be curious to hear your thoughts once you've read it! I've heard that visiting Auschwitz is a very moving experience. I haven't been, but I've read a lot of WWII books. The stories (especially those based on real people/experiences) never cease to amaze me. Right? I'm so intrigued by its premise! I saw someone raving about A Spark of Light so hopefully you’ll love it. I’m hoping Liane Moriarty’s latest is amazing too but I have some of her others to read still so if it disappoints I’m sure her others won’t. I haven't read her whole backlist either. I need to get on that. I've enjoyed all the books by her that I've read, except TRULY MADLY GUILTY. Gahhh I MUST read the new Liane Moriarty book!! Also, I haven't read a Jodi Picoult book in I dont even know how long. I loved how she always has a court element in her books!! I know! I'm so anxious to get my hands on it. 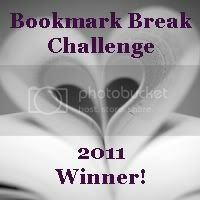 I've read -- and loved -- most of Picoult's books. I love that they're family and court dramas and that she helps me look at hot button issues in new ways. 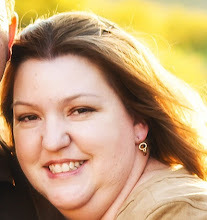 Thanks for coming by, Michelle! The Tattooist of Auschwitz sounds so intriguing! I don't know WHEN I'll get to it, but I'd like to read it. LOL. That's how I feel about most of the books on my Goodreads TBR list -- I'll get to them SOME day! Such a great list! I have seen Nine Perfect Strangers on a few lists. I didn't realize there was another one by author coming out. I have Winters and want to read it too and I really like Tattooist!! Yeah, lots of people are excited about the new Moriarty book. Fingers crossed that it doesn't disappoint us! I liked The Tattooist of Auschwitz. I've heard the author speak a couple of times and the story of how she came to write the book and what has happened since it was published is interesting too. And the audio is narrated by Richard Armitage which is a big bonus. I heard another author who recently wrote a WWII book talk about what led her to write what she did, and it was SO fascinating. More interesting than the actual book, to tell you the truth. Yeah, I'm not sure what happened with Moriarty's last one. It was a stinker for sure. I'm reading A Spark of Light right now. It goes backwards in time, which is throwing me a bit. Not my favorite of hers, at least not yet. She treats the subject fairly, I think. Interesting. I wonder how it will compare for me to her others. The subject matter is very sensitive, but the thing I like most about Picoult is that she looks at an issue from every side. It helps to open my mind and make me more empathetic, even if it doesn't change my opinion on the matter at hand. I've got Go to My Grave on my reading list too. It looks so spooky! I really want to read The Glass Ocean and Nine Perfect Strangers. They look amazing! I'm really curious The Tattooist of Auschwitz. That must be quite a story. They all sound so good, don't they? I just bought TATTOOIST and can't wait to read it! These all look good, especially Go to My Grave and The Glass Ocean - lots to look forward to!